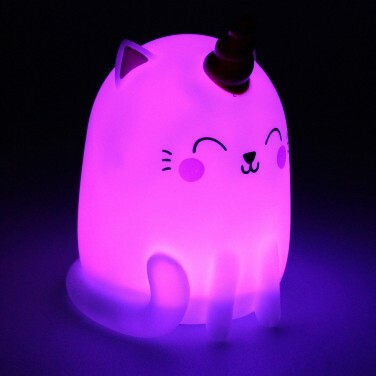 The cutest of kittens is topped with a unicorns horn to become a magical Kittycorn shining with colourful light! 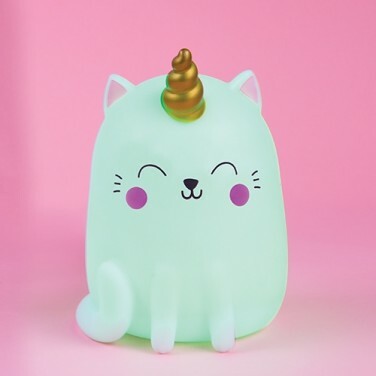 Cute, colourful and a little bit magic too, this adorable Kittycorn mood light combines the colourful magic of a unicorn and the cute factor from kittens to make an irresistible mood light! Lit with a colour change LED, this sweet mood light shines continuously through a seven colour change for magical mood lighting that can also be used as a soothing night light. 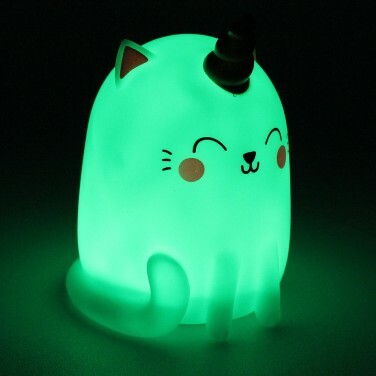 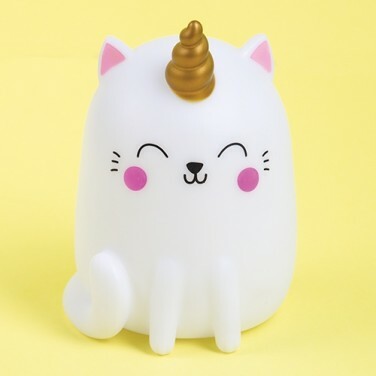 Battery operated, this adorable Kittycorn is purrrfect for kids rooms adding a splash of colour and the comfort of light. 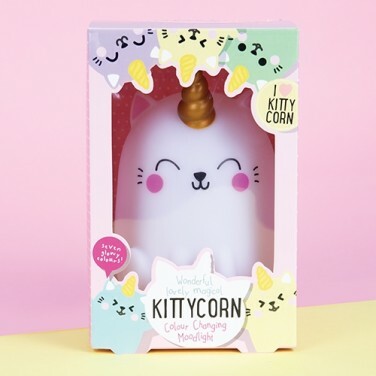 Enjoy warm and cosy hugs scented with soothing lavender from this adorable Warmies Racoonicorn plush.